Everyone who has been a parent knows that children grow up in the blink of an eye. The things you treasure so much – the first time they sat up, their first birthday, losing their first tooth – become distant but cherished memories as your children quickly change and grow. Let us be there to capture this time of beauty and innocence in professional photographs that you and your loved ones will treasure. It is a privilege for us to preserve these special moments for you and your family to remember forever. 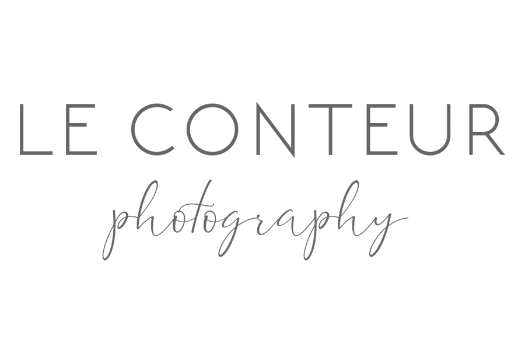 We want to create a fun, personal experience for you and your family so that when you receive your finished photographs, you’ll cherish not only the images themselves, but also the memory of creating them. If you are relaxed and happy during your session, that will shine through in your photographs as we capture the moments that show why you are unique. What location says something about you, who you are, and what you love? Choosing a spot that evokes memories or emotions will help you to be relaxed during the photo session, and it will add an extra layer of depth to your portraits. In choosing props, it’s important to consider what objects have personal meaning for you and your family. A good prop might be a musical instrument, a book, an item of jewelry or even a family pet. Whatever you choose, it should be something that evokes emotion or makes a statement about you. Style and what do we wear? 1) Wear clothing that makes you feel AWESOME! If for you that is a new outfit - get it - rent it, buy it, borrow it. 2) Fit is so important, it should not be too tight, too loose it should literally be just right. 3) When in doubt layers are awesome. Jackets, coats, sweaters, vests, scarves. Avoid overly busy patterns and logos. 4) Clean shoes that coordinate with your style are a must. 5) Style, it is as simple as this, match your style not your exact outfits. Be casual or be dressy, just not messy. Pinterest is actually great for this and mixing colors - take a moment to view pins selected specifically for Families by clicking on this link. Bring your joy, your love for each other, some patience, a sense of humor and a smile! We are going to have a good amount of fun while taking photos! Also if you need actual items to bring the following are helpful but keep it light as we will be walking and not in one set location for long. 4) A favorite toy for kids. 5) Extra change or clothes. Most sessions are outdoors, If bad weather threatens to mar a scheduled photo session, we will keep in contact with you as the day of the session approaches so we can decide whether to reschedule to another convenient time. Children tend to go at their own pace – and that’s completely OK with us! On the day of your session, we will work with you and your family to make sure everyone has an enjoyable, relaxed experience. If that means your preschooler needs to take a break for a snack, or your baby needs a new diaper and a change of clothes, you should feel comfortable to take the time you need. We know that a great photo session takes flexibility and patience. Your session will begin at the time and location agreed upon during scheduling. It’s important for you and your family to be yourselves so your photographs can communicate who you really are. A fun and relaxing photo session results in great portraits you will treasure.